There’s a quote you might’ve heard: “When fascism comes to America, it will be wrapped in the flag and carrying a cross.” The quote is often attributed to Sinclair Lewis, albeit in that apocryphal, repeated-enough-it’s-become-true way the Internet is so good at. Regardless, the point is that while fascism is synonymous to Americans with swastikas and SS uniforms and the trappings of Nazism, homegrown fascism would approach subtly, would infiltrate under the guise of more familiar iconography. 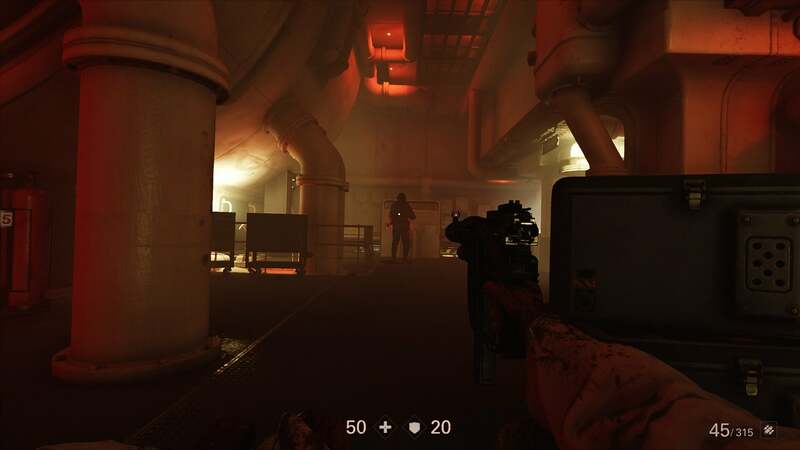 But Wolfenstein II: The New Colossus postulates an even darker world—one where fascism did come to America wrapped in swastikas, and most Americans didn’t mind. Didn’t mind it one bit. And it’s one of the best games of 2017. Imagine returning to 1992 and telling someone that in 2017, one of video gaming’s strongest social commentaries would arrive courtesy of Wolfenstein and Mr. William J. Blazkowicz. Hell, imagine telling that to someone in 2013. And yet here we are. 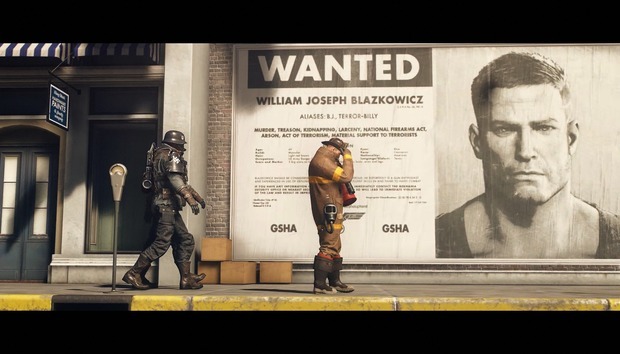 2014’s Wolfenstein: The New Order ($20 on Amazon) gave us our first glimpse of this modern Blazkowicz, the All-American soldier who was as likely to discuss the effects of Jim Crow as shove a knife through a Nazi eye socket. It was either the stupidest smart game I’d ever played or the smartest stupid game. Or both. It made PCWorld’s list of the 10 best PC games of that year, regardless. Even that fire is fleeting though. 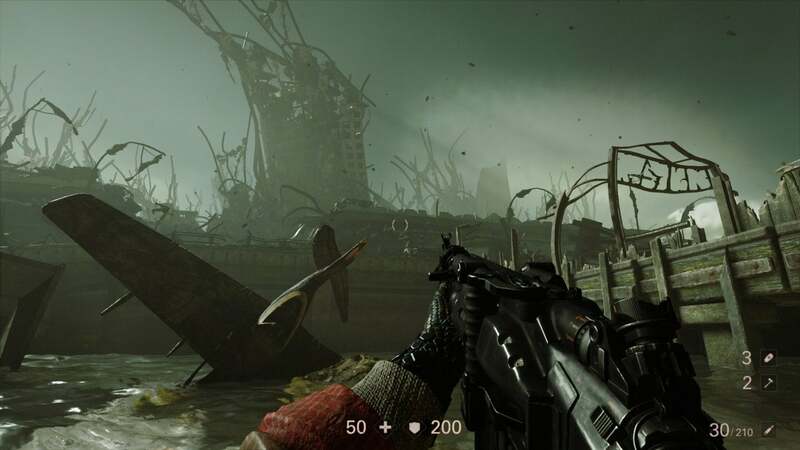 Wolfenstein II: The New Colossus is death’s doorstep, a Blazkowicz all-but-defeated. Shootouts are often bookended by mumbled prayers as he wills his spirit onward, asking his body to ignore the pain, to minimize distractions, to focus on one more Nazi killed, one more fascist defeated. To fight until he falls apart. And it’s these moments of reflection that make Wolfenstein II so poignant. There is a lot of dumb shooting in between, of course. Plenty of excellent jokes too. There are massive set pieces, a few great fights, some extraordinary jaw-dropping story beats that I absolutely will not spoil. There are new abilities, some new guns, and hatchets to throw. Blazkowicz even has an all-time great one-liner in “Lotta things you can do with a hatchet and a Nazi.” He’s not lying. Doom (2016’s reboot) is the better pure shooter, especially if you’re looking for a fast-paced arena game of old. This is not that. Feel free to go play Doom. It is also an excellent game. One of the best. Wolfenstein II: The New Colossus is phenomenal, but it’s revealing that if I had to convince someone to play it, had to put in words what I love, very little of it would revolve around the shooting of Nazis. Don’t get me wrong: I love shooting Nazis. But it’s the why of shooting Nazis that sets Wolfenstein II apart. The most heartwrenching chapter of The New Colossus has almost zero combat, barring a low-stakes encounter at the end. The guns go away, the bombs stop for a second. The silence is deafening, and you’re left alone with Blazkowicz and his memories of the society that raised him, the society that abused him, the same society he’s now fighting to save. 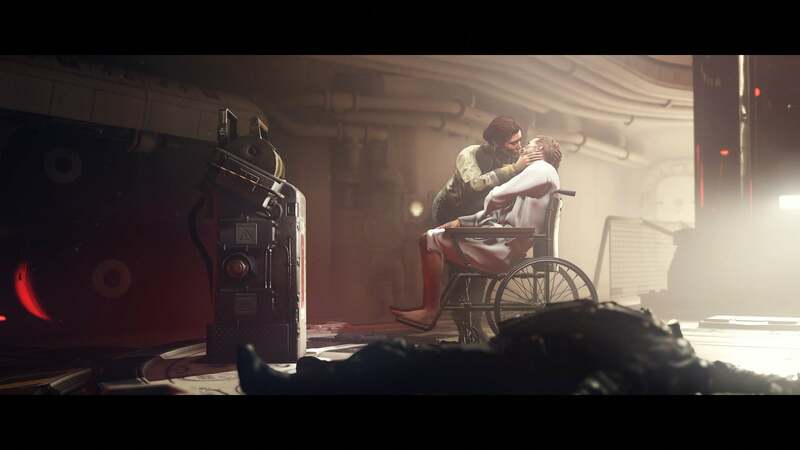 Wolfenstein II: The New Colossus revels in these contradictions, in hypocrisies both small and large, personal and national. America, fighting the Nazis and their racist ideology while enshrining a similar racist hierarchy at home, for instance. Or the toxic upbringing that turned an innocent boy into the murder machine Blazkowicz, “Terror Billy” to the Nazis—an upbringing most of us would condemn, while still holding up that suffering as noble provided it allows this broken-down shell of a man to save us in the end. America’s social ills are examined and re-examined: Ultra-nationalism. Warmongering. Race and the ugliness of racism. Propaganda and the complacency of the media. Political grandstanding. The banality of everyday life under tyranny, the quickness with which humans accept even the most frightful of circumstances. That last is perhaps scariest—seeing Americans turn on each other. Whether out of fear, greed, hate, Wolfenstein II: The New Colossus is happy to show the circumstances under which seemingly normal people can be convinced to give up their core values. Is Germany’s case exceptional? Is the rise of fascism something limited to a few unique countries? And the answer is a resounding no. If anything, Wolfenstein II needed more of this day-to-day living. 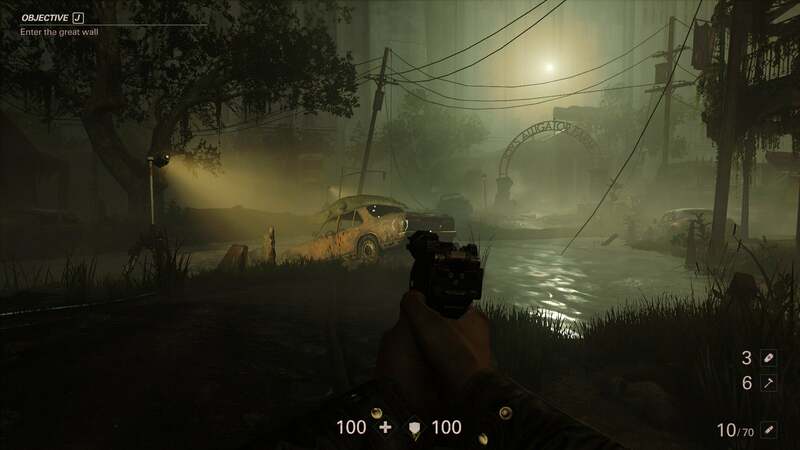 Rushing from action scene to bigger and better action scene, The New Colossus often glosses over the America it wants to explore, relegating it to collectibles and set-dressing. 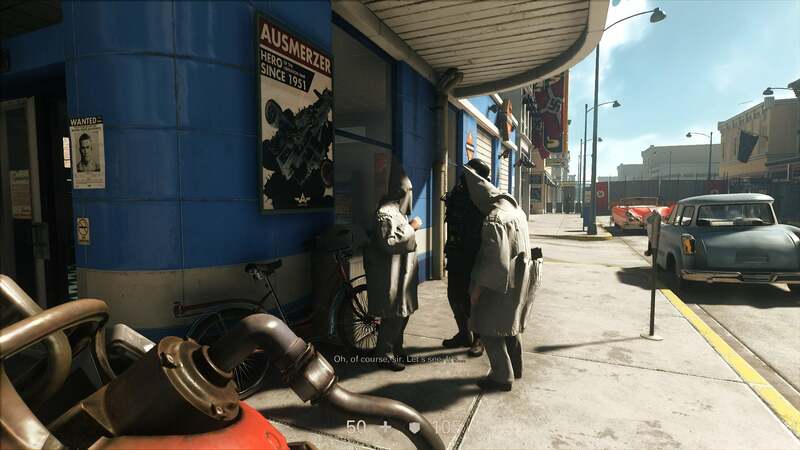 Prior to release, Bethesda showed off a scene in Roswell where Blazkowicz simply walks down a street, pretending to be a civilian on “Victory Day,” the day the Nazis conquered America. People cheer, two KKK members practice their German, and so on. It’s chilling because you suddenly understand the reality of an occupied America—and then it’s over. It’s the only scene of its kind, and that’s a shame. One or two more would’ve made the point stronger. Trying to ignite a revolution in this America is like trying to set fire to a lake. Not that Wolfenstein II: The New Colossus is overly subtle. At one point, a character in Wolfenstein II says “When the Nazis took over, things got a lot better.” He’s not being facetious. As far as he’s concerned, they did get a lot better. He’s got a big house, respect, power. “Give [the lowest white man] somebody to look down on, he’ll empty his pockets for you,” as Lyndon Johnson said. Turns out he’ll do worse than empty his pockets. But there is light too. Hope. As long as one person fights the war continues, and Blazkowicz has more than one person on his side. Some of Wolfenstein II’s characters are returning faces, others fresh, but there’s depth to all of them. The New Order laid excellent foundations for this entourage, and The New Colossus is happy to flesh things out even more. Characters have love lives, private jokes, dreams and fears. They party too hard. The New Colossus often doesn’t care if you even notice this interplay—much of it is done in Half-Life 2 style vignettes, small interactions that play out as you walk around your home base whether you’re paying attention or not. Okay, not much (or any) mention of it in this review but it’s worth noting Wolfenstein II is also incredible to look at. It’s just jaw-dropping at times. You should pay attention. Most of it is excellent character writing, be it a New Orleans civil rights activist acting his role as preacher for the apocalypse, a black woman who fought American prejudices as hard as she now fights the Nazis, a German who fights to convince others that she’s not a Nazi, a man with half a brain but a loving heart, a tough-talking pilot who’s mostly afraid of letting everyone down. And Anya, of course. Anya and Blazkowicz share most of the memorable scenes, with Blazkowicz convinced his death is imminent, that he’ll become yet another casualty of this neverending war and leave Anya to raise their children alone. These are standard war-story tropes, but written with such charm, voiced so deftly, that it’s easy to get swept up in the moment. 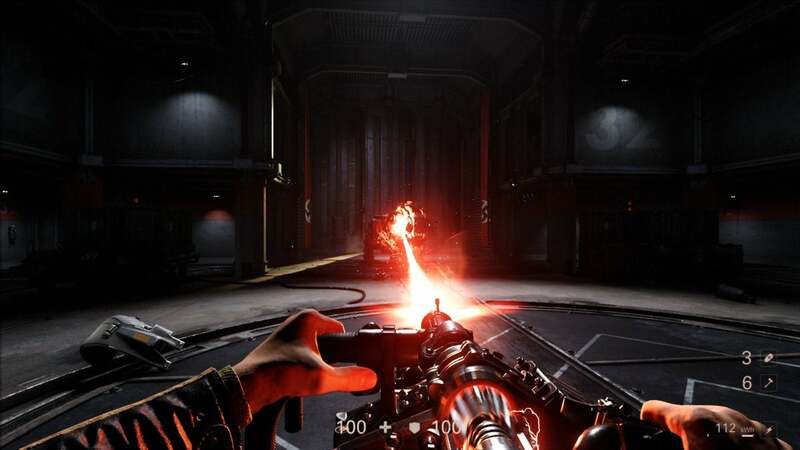 A good story starts with good characters, and in two games Wolfenstein has assembled one of the most interesting and memorable casts in our young medium’s history. It’s not perfect. As I mentioned earlier, Blazkowicz could really use a bit more indication he’s being shot. Sometimes you’re dead before you even realize you’re in danger. And hey, Machine Games is great at disguising corridors, but that’s all there is here—endless corridors full of Nazis. I don’t want an open world game, but a bit more room to breathe would go a long way. But Wolfenstein II belies its dumb corridor shooter roots.The New Order was a silly game that occasionally got serious. The New Colossus is a serious game that sometimes cracks a smile. You’ll come off a heartfelt speech about the hidden dangers of America’s militarism, then seconds later you’re riding an enormous robot-dog through the streets of New Orleans lighting Nazis on fire, and you laugh because it’s all so gloriously stupid again. No other game could pull this off. No other game has.